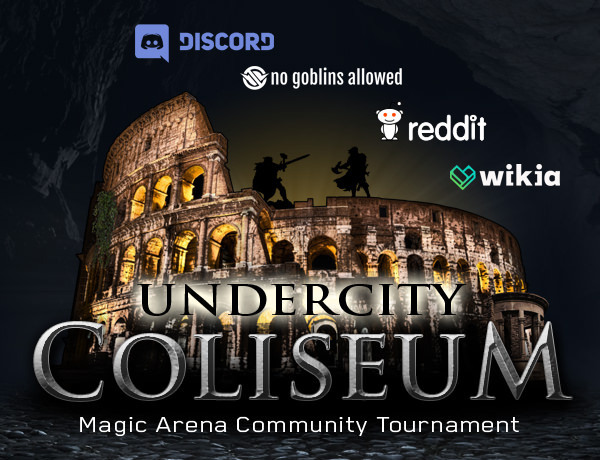 we proudly welcome you to the re-opening of the Undercity Coliseum which has always been one of the most famous places for entertainment in Ravnica. Continue your journey to the fighting pits and be one of the first to enter the battle ground where the audience awaits a fantastic spectacle, but be warned this is a fight to the death and only the last one standing will hear the deafening applause. So, ready your spears, swords, shields and mighty spells! Step up to the challenge and show Ravnica that YOUR guild is the best and YOU are a worthy Champion of the Undercity Coliseum! Player registrations are open from November 21, 2018 to November 30, 2018. The tournament launches with Round 1 on December 3, 2018. During swiss rounds players will have one week to play their match. You play all rounds, even if you lose. All matches during swiss rounds are best of 3. Recording and/or streaming your matches is not a requirement for the swiss rounds, though it is highly encouraged. After all rounds are completed top 8 players will be passed to the next round, scores will take win rate in consideration. In case of ties there will be a sudden death tie breaker round. The top 8 players will play single elimination based off their record for pairings. Top 8 is best of 3 matches. Recording and/or streaming your matches is required for all players in top 8 as this is when most people view gaming content, including the Lords of the Coliseum. If you are new to recording or streaming make sure to check Wizards of the Coast’s Creators Hub for a basic tutorial. Any player unable to stream/record will be eliminated and fed to the dogs. Finalists will play a Best of 5 match. Same rules for top 8 regarding recording and streaming apply for the finals. All decklists will be public during the tournament. 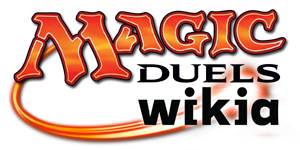 Each player will register decklists in secret via the provided Google form. 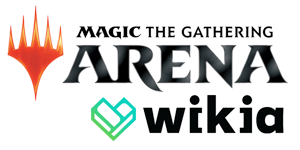 Decklists then will be published on the Magic Arena Wiki once all submissions have been received. Decks must be MTG Arena legal: 60 card main deck + 15 sideboard cards. If you want to support the tournament by contributing to the prize pool, don't hestitate to contact the organization team by sending an email to mtga.organizer@gmail.com. Have fun guys and good luck!! Last edited by Cucho Lambreta on Mon Nov 26, 2018 2:39 pm, edited 2 times in total. Now THIS is where I parked my car. Awesome. I have no experience streaming/recording. If I understand correctly, you don't have to be live streaming, but you have to record your match (at least if you make top 8), is that right? Are you then required to upload it somewhere afterwards? If you are recording, just upload it to Youtube and post it here. Someone like Cucho will help you organize it from there. But then, streaming with Twitch is probably just straight easier than recording. This exactly. Streaming/recording is only required for top8 and up. It does make sense though in case you run into problems with your opponent. If you record we can see what happened. Uploading is also optional. On another note, streaming with OBS is pretty easy once you get used to the interface. Keep us posted if you absolutley can't get it to work and we'll try to help. Still never set myself up to stream but it's no problem recording my matches and putting them on my YT channel. If there are any other brewers who want to work on lists together, slide in my DMs. Are you on discord? What's a DMs? this is correct. the ~99.99$ are just a placeholder. so, don't worry about taxes for now. we will pay the difference so you will end up with an amount that equals 20k gems in your currency. I'll probably sign up although I don't have a single complete sideboard. You can't directly edit your deck but you can send another submission sheet if you want to change the deck... we will only take in consideration the last one. Is this the birth of team NGA?